RAGE 2's developers have released some extensive gameplay footage, showing off vicious combat both in a vehicle and on foot. We see some new environments, new weapon upgrades and new player abilities. Collector's editions feature all kinds of goodies: special packaging, art books, statues, bonus digital content, a severed head, you know, the usual items. Meet Ruckus the Crusher from the RAGE 2 Collector's Edition. They go over things like the open world and how it's designed, vehicles and the ability to go anywhere and gunplay with the Overdrive power, plus there's a heck of a lot more gameplay to go with it. Bethesda has released details of what's included in RAGE 2's Collector's Edition and Deluxe Edition, and also shared some beautiful concept art for the upcoming open world shooter. RAGE 2 was first officially announced a few weeks ago, so it comes as no surprise that more of the game was shown off during Bethesda's E3 conference. The trailer that was shown provides some story details and gameplay. We covered the many rumors swirling around E3 earlier this week and now today we dial back the speculation and look at just the games we know will be at the show. Here are our ten biggest games to watch at E3 2018. When Bethesda revealed the first trailer for RAGE 2 yesterday, many of you wanted to wait for today's gameplay trailer. Well, it's here, and it's every bit as crazy as you'd expect. One of the biggest rumours from the past week has been put to bed this afternoon, as Bethesda has officially revealed RAGE 2 with an announcement trailer. What's On Your E3 2018 Wishlist? For forward-thinking gamers, the next month will probably feel like a drag. The anticipation of E3 can be hard to navigate, like the few weeks before your birthday as a kid. Here's what's keeping us up at night. Share your list! 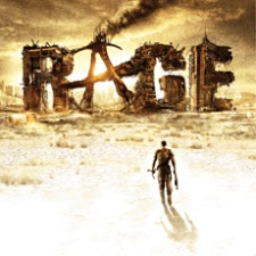 The first RAGE game with trophies was RAGE, which was developed by id Software, published by Bethesda Softworks and released on 07 October 2011. The next RAGE game scheduled for release is RAGE 2 for PlayStation 4, on 14 May 2019.